Therefore, the question of the day is this: what must I do to have an effective shadow ministry? Here’s what I discovered after some serious perusing through the Bible, much of it is based on Matthew 5:3-10. This entry was posted in Uncategorized on September 8, 2010 by aliciachall28. You are such a creative writer. I aspire to be like you as a writer. I started bloggin some again. 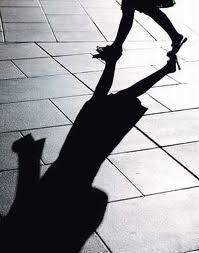 I hope my shadow reflects the awesome God that I serve! This is excellent! You have a profound way with words A-Town! This is so good I just might re-post it on the emerge from blog! But I don't want to live in your shadow! Hee-Haw! Keep up the good work!